We all know that the Earth is a watery place and about 70% of the Earth's surface is water-covered. Our body works similarly as the Earth too. About 70% of our body is made up of water and it is said that water creates an environment for life in general. Skin is the largest organ in our body and it is important to keep the skin hydrated at all times. The skin exposed to the air and without water, it can lose elasticity and vulnerable to germs. Depending on the thirst and swear level, it is important to keep track on your water intake in order to keep te skin moisturised at all times. Besides drinking water, having proper skin care routine helps to improve the skin condition too, We want the skin to stay hydrated at all times however, there are times our skin cannot adapt certain ingredients, causing skin problems such as acne or sensitive skin. 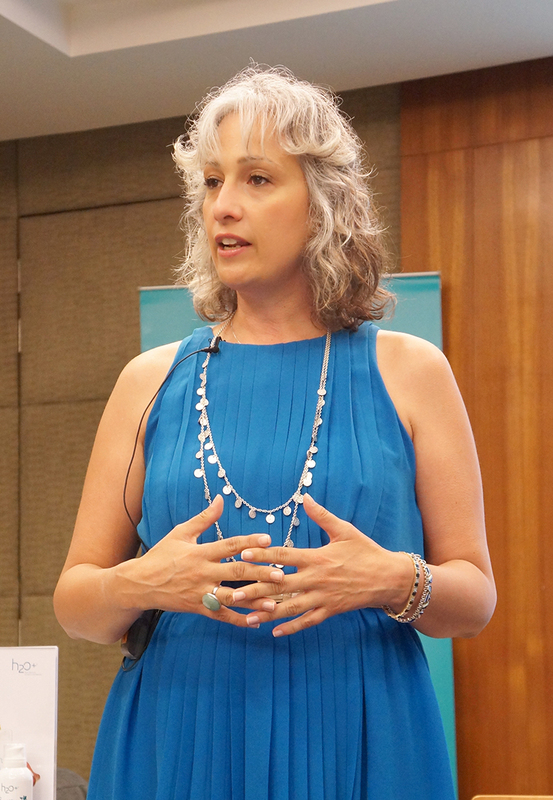 With this, the founder of H2O Plus, Cindy Melk, created the first beauty company featuring water-based, oil free skin care products that hydrate naturally without oil that can clog the pores. This revolutionary products combined powerful vitamins, minerals, antioxidants, and marine algae from the sea, which will hydrate, protect and rejuvenate the skin without oil that can clog the pores. 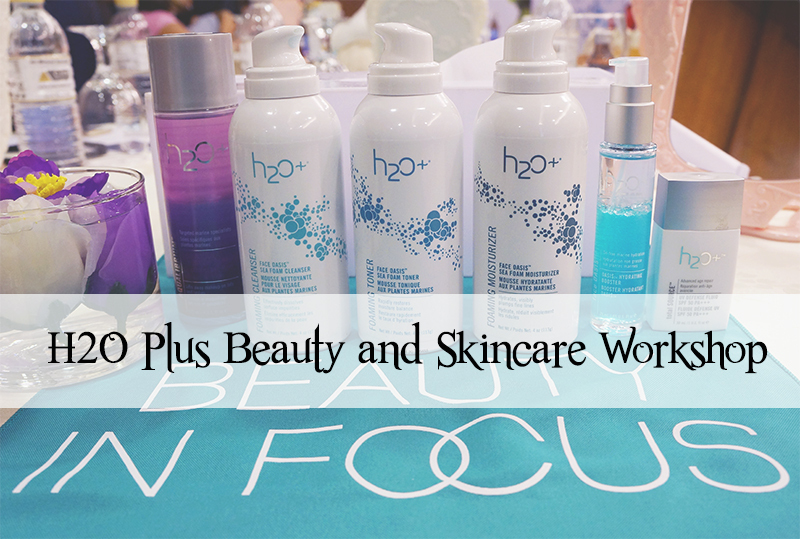 I was invited to a workshop, featuring the usage of the latest products from Face Oasis Sea Foam Collection and a beauty drink from H2O. It was a fun experience and I will be featuring the Face Oasis Sea Foam Collection in this post too. As the name suggested, Face Oasis Sea Foam Collection is created with the airy foam formulas and the Proprietary Marine Blend. The Proprietary Marine Blend aids in water retention by locking in moisture pulled from the air and deep within the dermis to the skin's surface, leaving the skin hydrated, healthy and glowing. On the other hand, the air foam formulas act as a physical delivery system to help ingredients absorb more effectively into the skin for maximum results. 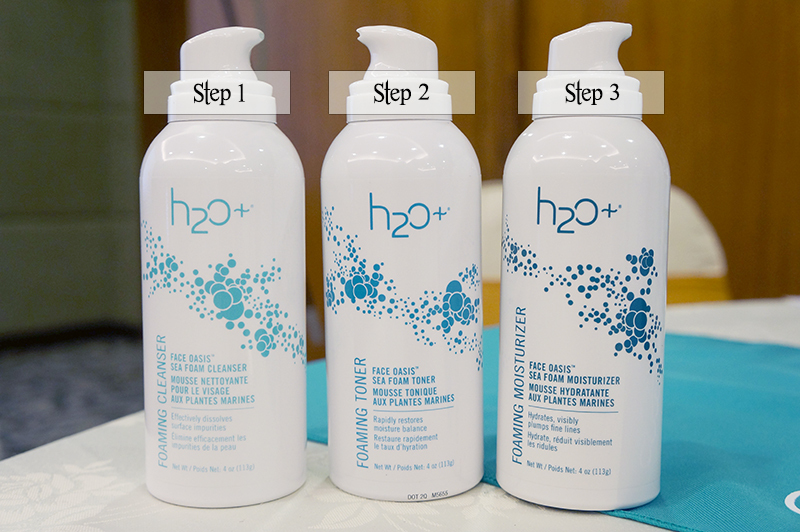 As you can see at the image below, the bottles are in similar design, but with different colors to differentiate the products. The sequence of using the products can be learned by the shades of the products. 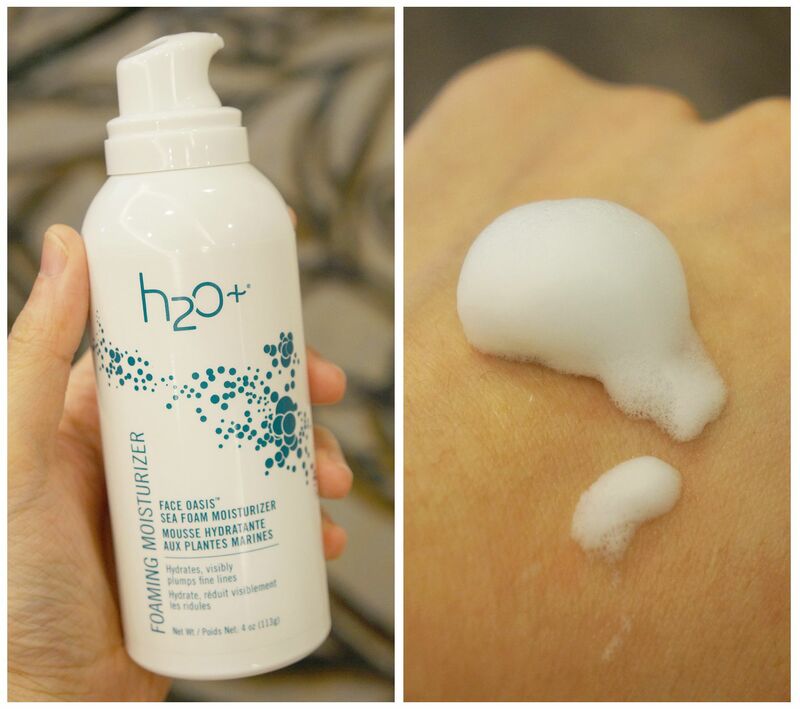 Cleanser in bubble form is quite common nowadays and H2O adopted this concept for Face Oasis series too. The milk lather cleanses the skin without stripping off its natural moisture. It smells good too! Another fun fact about this cleanser is that this cleanser can remove face make up.However, it is advisable to use eye remover make up remove the the eye make up before using this to cleanser the face. Toner in bubble form, how cool it that? This toner is infused with pure water that has Hydrating Marine Blend technology to intense hydration while plumping fine lines. On the other hand, Sea Kelp helps to condition the skin without drying while Sea Flora Peptide Complex helps to slow the signs of aging. There are two ways using it: with bare hands or with cotton pad. 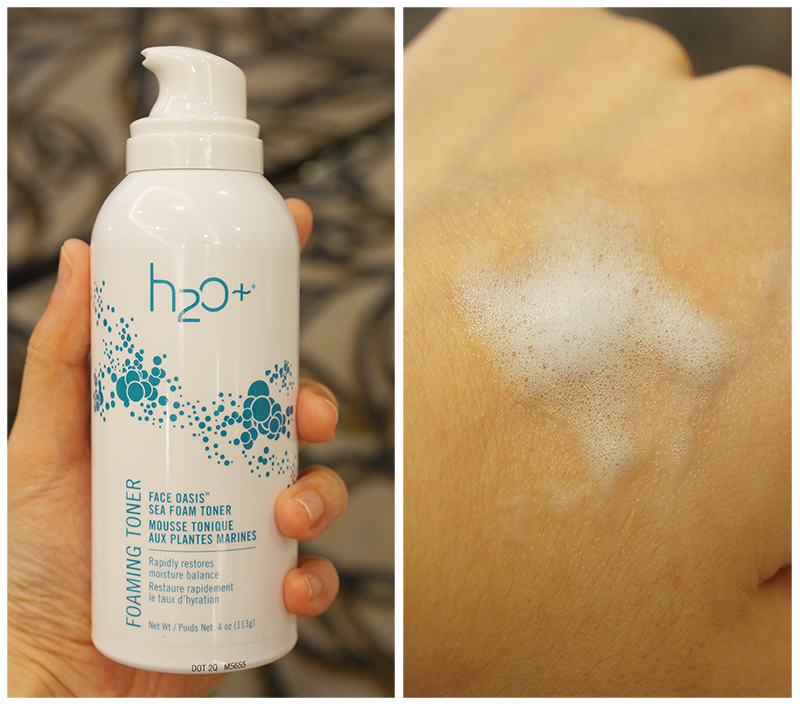 If you are using bare hands, one pump from the bottle is enough to cover the whole face. 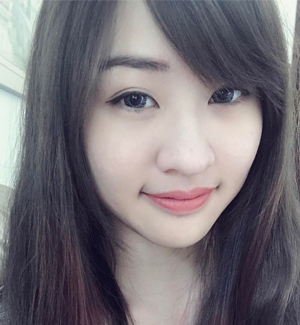 Pat the toner gently on the face for better absorption. Fun part of all is this moisturiser in bubble form! 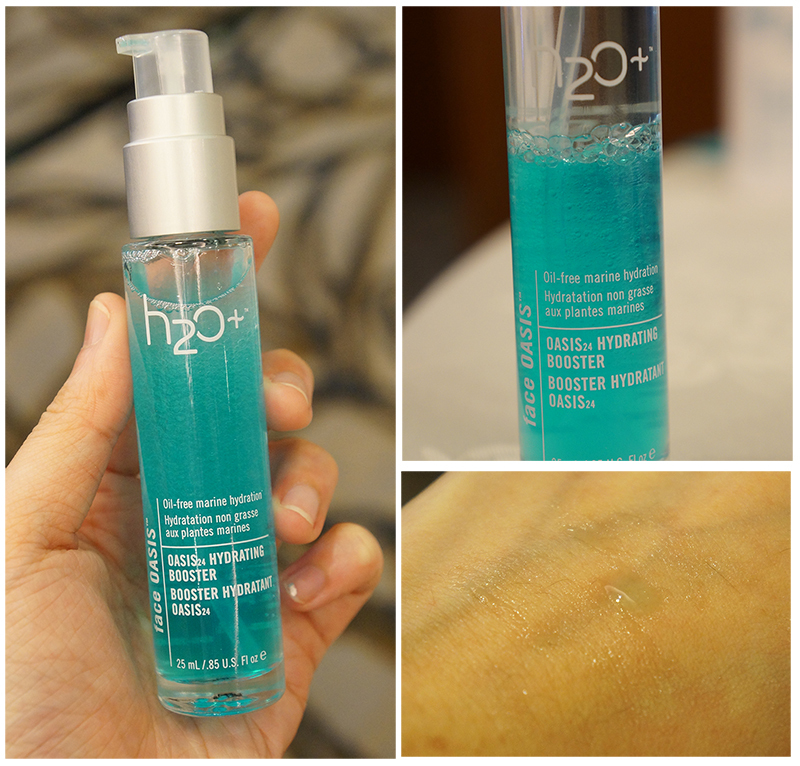 The Sea Plankton helps the skin to attract and store moisture for a younger complexion. The bubble foam allows the skin to absorb the ingredients more effectively and it is very light-weighted and non-sticky too. Just a little tips here when you're pumping the moisturiser, be as gently as possible because a small pump is enough to cover whole face. Here's an image the bubbles from the Face Oasis Sea Foam Collection. 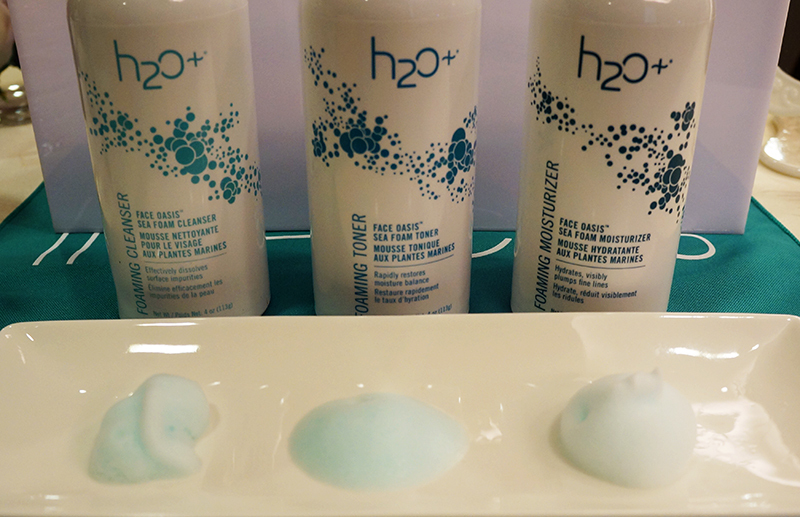 As you can see, the bubbles from the toner is more diluted compared to the cleanser and moisturiser. A serum that I am interested the most till now after the workshop. The first impression was so good and after reading on some positive reviews online, this is definitely in my wishlist. You need to shake well before using it on a cleansed face. It doesn't feel any stickiness or greasy at all. The sea-derived essential minerals work very well with the Sea Mineral Complex technology that helps to deliver timed-released hydration up to 24 continuous hours. The marine extracts rich in omega fatty acids help to support elasticity of the skin and prime the skin to receive benefits from any moisturiser. 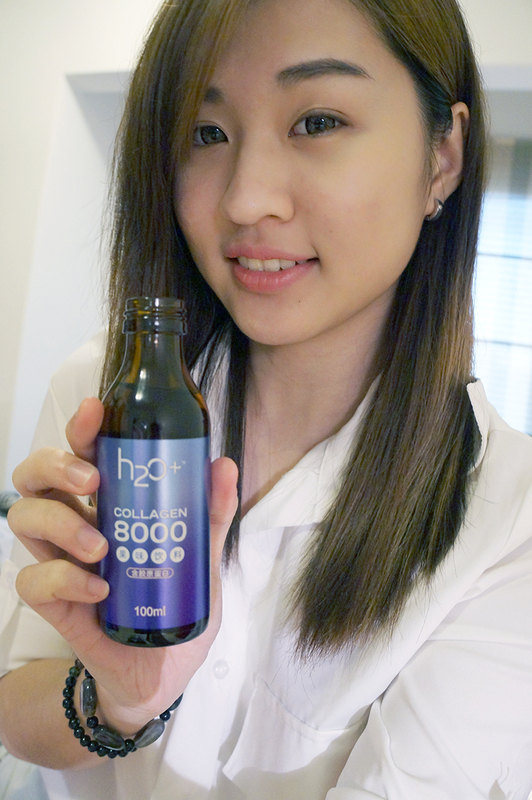 Another special mention here is the H2O Collagen 8000. 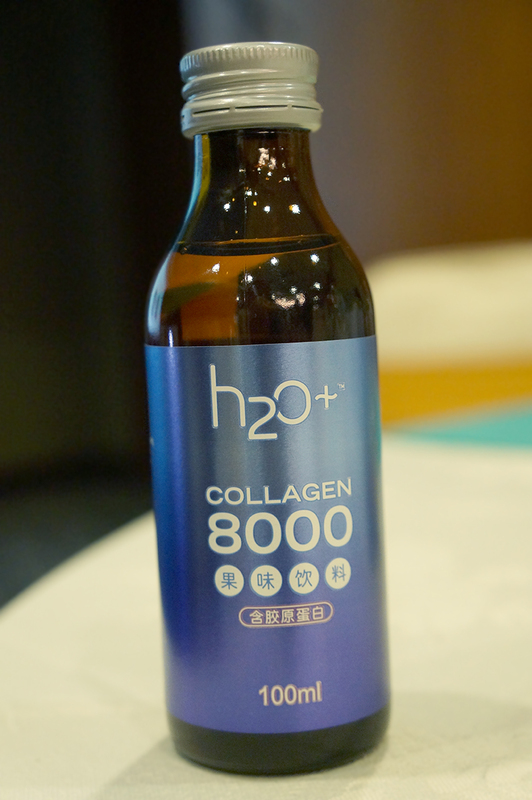 You read it right, H2O has a new product series on collagen drink now. It has high potency protein, marine collagen and vitamin B6 to deliver essential nutrients for a younger skin.